How can the low prices for clients provide interesting earnings for drivers? How much can Uber driver actually be able to make and pay for the time spent by the clients in the city? These questions are surprisingly difficult to find an answer for. However, researchers from the University of Business and Law in Prague tried to do this on the basis of a tender entered into by the Office of the Government of the Czech Republic. It wished to map the costs and revenues of individual transport services in the so-called “shared economy” sector and at its borders. The results of the analysis record the beliefs that have already heard by some taxi drivers as well as Uber drivers – that people interested in working at Uber platforms should think well and, in particular, calculate whether they can afford such a step. And they should include all costs that will be associated with their decision. On the basis of the data that the researchers obtained from a total of 136 trips with various companies – from the regular taxi dispatchers, via Liftago to Uber and Taxify – they drew up a model of drivers’ costs and income. Thirty-four of these rides took place with drivers using the Uber application. Necessary information on the number of kilometers traveled, or the number of journeys, was obtained from the secret interviews with drivers and other publicly available data. In addition, they have also received another two hundred completed questionnaires from Liftago drivers, which helped to estimate, among other things, the average price of service, fuel, tire replacement and other costs. From these data, they have developed an economic model of individual services. As can be seen from the following table, drivers of Uber Pop and Select, according to the conclusions of the researchers, will not come to much money compared to the classic taxi drivers. 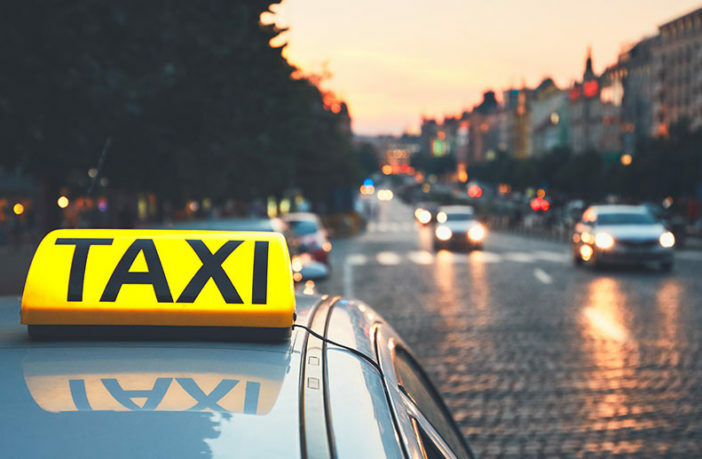 According to the researchers, after deducting all the costs, the driver of the most popular Uber Pop service, who drives around 10 hours per week, will make around CZK 18,693 per year, which is not much, considering that he has to travel nearly 21,000 kilometers. It must be added here that Uber is acquainted with the results of the study, but does not agree with the methodology by which the researchers came to their results. Secret interviews, according to them, are not a reliable way to get the background information for research. It also worries them that Uber, unlike Liftago, did not receive a questionnaire, nor was asked for information. The first table attempts to reflect the facts found during the interviews. Uber Pop and Uber Select Drivers therefore expect shorter distances than with regular taxi drivers and displays data for occasional drivers who travel about 10 hours per week for Uber. According to the researchers, it is about one third of all Uber drivers. However, we also have a table showing the comparison if all drivers if they have the same number of trips and kilometers per year. “Providing contracted transportation through the Uber Pop and Uber Select service, after taking all relevant costs into account, generates relatively low revenues for their service providers and occasional loss of service,” the researchers concluded, . Drivers who decide to work with Uber are generally unable to take into account all possible costs that will be associated with the service. In the first instance, it may seem like they are earning relatively decent amounts by transporting people. The commission, which Uber charges for every trip, also plays a significant role in higher costs. This is currently 25 percent. On the other hand, fixed dispatches, which provide regular taxi drivers, are subject to a fixed monthly charge. This differs from the dispatching center and ranges from six to ten thousand crowns. In a simple way, the more taxiers ride, the less they will experience the fee they send to the dispatch center each month. While the twenty-five percent Uber rate remains the same regardless of the number of customers served. “In normal operation, Uber’s commissions divert more funds than traditional dispatching or alternative applications,” say the analysts. But they also point out that work for Uber will be more advantageous in times of peak times when prices increase evenly by so-called coefficients. However, this fact does not appear to have been included in the resulting calculations. This could be problematic when we consider that many Uber drivers are trying to plan their rides to as many of these moments as possible, the increased prices are covered. This is also the case for Uber. “The study does not take into account so-called dynamic prices. Even though such ride are only 19 percent of all time, the overall driver earnings, of course, are impacted, ” Uber spokeswoman Miroslava Jozova told iDNES.cz. The relatively low revenues of Uber Pop drivers, according to the researchers, also affect the price for which passengers travel in Prague and which is one of their main competitive advantages. At present, the basic Uber Pop tax is 9.90 crowns per kilometer + 3 crowns per minute. Uberu Select is a bit better for drivers, they charge 13 crowns per kilometer and 4.50 crowns per minute. In comparison, regular Prague taxi drivers can ask for up to 28 crowns per kilometer. Even so, most dispatchers offer a lower price, which is usually between 18 and 22 crowns per kilometer. Uber has a different opinion. “With respect to these costs, ninety percent of drivers have yet another source of income, almost thirty percent use Uber less than ten hours a week. This means that the vast majority of them use the car for other activities, so the cost of a car, whether or not they use Uber, is the same”Jozová argues. In the case of some of the costs, there is no choice but to agree. Mandatory liability, emergency insurance, parking or MTR costs must be paid by vehicle owners, whether for Uber or not. In total, the costs exactly as they appear in the table have played a role, especially for those who would consider buying a Uber-specific car for the Uber. Other, and often knowledgeable, higher costs, such as fuel, service, tire replacement, or commission for Uber, are on the other hand directly proportional to how often an application driver drives. Researchers in the study do not conceal that further development of alternative carriers such as Uber could help reduce the cost of transporting people around the city and consequently cause less and less people to use their own private cars. This would help the environment and traffic fluency. Similarly, they can not ignore the fact that Uber can and is the source of a solution to temporary unemployment. “However, platforms are not crowded, the lower prices of transport are logically transferred to the driver,” the study authors add. Their calculations show that at first glance, the gross revenues of drivers driving platforms may seem interesting and may attract many people. “After offsetting the commissions of the platform, fuel costs, other operating costs, maintenance and depreciation of the car, gross income is often hundred or less than one hundred crowns per hour. Therefore, it is probably not surprising that platforms have more fluctuation of drivers and often work for drivers who want to win or foreign drivers, “the researchers conclude. This is confirmed by the Uber competition. According to the founder of the Czech company Liftago Ondrej Kratky, many Uber drivers can´t handle the necessary documents and switch to other services. “According to the amount and experience of drivers who have already been licensed, I can say one thing. Uber as well as Taxify has increased the number of taxi drivers in the streets because their drivers are gradually finding out that if they have to pay taxes and amortise the car, whether thay can live on such pay. Whether it’s a side gig or a major activity, “says Krátky. TEST: Same trip, three times the price. When is it not worth traveling with Uber? But Uber sees it differently. “People who use Uber as a driver appreciate the flexibility the service allows them. They can use their car as a paycheck or source of income in the times and days they like, “says Jozova, and refuses that thei drivers can´t to calculate and think. “Satisfaction with the service also shows the increase in drivers, which has doubled since the last year. At present, there are over 2,000 active drivers in Prague, “added Jozová. IDNES.cz’s request that Uber publishes an internal estimate of how much it earns with regular drivers, however, the company refused, with every driver earning a different amount and not analyzing the data.